Looking for a profitable niche markets with very low competition? before you go, you need to know what it is. With millions investing courageously in the online business, it’s a challenge to stand out. And sustaining it is another story altogether. Ask the ones who spend months on end before they finally get the ball rolling. What’s the first aspect of any online business? That is the one word that decides how well you will be found by the users online. Niche is the foundation of any business. It’s like the umbrella that protects all other points of your business. Well, if you are struggling to put the finger on a particular niche to start with, the tools are many, to get you started. Before you put any niche to test, find out how to enter the market with the most profitable niche. And of course, just the right keywords. What is a niche markets? Before you understand how you can choose a profitable niche markets, it’s important to know what Niche keywords are. These are highly specific long-tail keywords for specific industry types. For maximum returns, you need to optimise your site and your pay-per-click campaigns for niche market keywords. These keywords bring you closer to your target audience. Narrow your research and keywords as you go along these steps. Now that we have those options all listed out, it’s time to see if they are viable. Let’s combine your passions with things that are profitable. To begin with, a niche that matches a few different criteria. Step #1. What are your interests? This sounds like the most obvious thing to do, and still many fail at it. You need to understand thoroughly the one idea or something that you want to put out there. Is it a product, service or just guidance. Make a list of the areas that you are passionate about and find out how you can make a business from it. For instance, a website on how cute your cat is will not bring you any money. What is it that I want to promote? Do I want to make money from it, or just a hobby? Even if it’s a hobby, how can I turn it into a profitable venture? How do I want to sell it? These simple questions give you a basic understanding of what you want to call your Niche. Step #2. What are people looking for? Seems like the very basic, doesn’t it? Still, many miss the point. Find a niche that people are looking for in the search engines. If no one is looking for the set of words you are offering, you won’t drive any traffic to your website. There are plenty of tools that help you get this right. To begin with, you can look at something called Keyword Tools. There are plenty of websites that offer these tools for free. Keyword Tools are Online tools that allow you to type a word or price and tell you exactly how many times that was searched for in the search engines each month. For instance, how many times people looked for Ship wreckage in Google. You have many tools out there that are entirely free to use. The one that most experts recommend is called Google Adwords.You just have to create a free account. Go to the tools and analysis section. BAM! There you have it. All the answers you wanted. The tool shows you how much your Niche ID was searched. And then, the tool will also suggest you more related terms that you can use. Look for related words and create more pages with those keywords. Balance this with passion and problems. For instance, you love travelling, and the people you want to target are avid travellers. The next thing is to find out what issues are they facing. The idea is to give them a solution to the problems around their passions. Step #3. Big Competition? No! Look for a site with not less than 1,000 searches a month and more than 15,000 searches a month (when you are starting your first website). Generally speaking, the fewer searches a niche market gets, the less competition there is. Most people think it is the important niches where the money is at. Don’t make the rookie mistake of using a very competitive niche markets. It is way easier to pick low competition niches. You can choose random niches that most people will never even think of. These niches have weak competition in the rankings. Don’t go with what everyone else is doing. Choose something nobody is talking about. Don’t go by the result numbers you see when you Google those niches. The good news is, when the results are weak, it means better ranks. Step #4. Niche where people buy stuff. If you are looking at making money online, uploading funny videos will not get you there. No matter how many subscribers you get, the struggle is long and exhausting. Help people buy stuff. Your website should eventually be selling something. You need to make sure you that people find something worth their time on your site. Step #5. Take inspiration from Amazon. Well, the retail giant has a search tool. 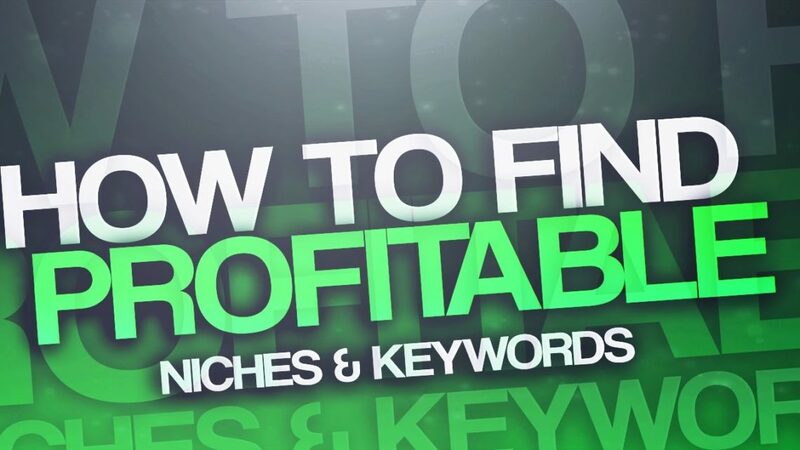 Here’s the trick— search for the keywords related to your niche as well as the niche. For instance, you look for pet food, and see thousands of products popping up; this gives you hint into how popular your niche markets are out there. This is a more traditional way of researching the market. Pro tip: Use LSI keywords. Visit here know more about keyword research tools. Here the sample of how these tools are working. I have searched for niche market ideas and I got results as below. Find out more about how to use it here. Step #6. Where are people spending money online? Before you pick a profitable niche markets, here’s a glimpse into what people put their buck on. People spend money on hobbies and extracurricular activities. Because Sports go beyond a particular territory, you can get more audience for a niche like that. Again, don’t go with something that has a massive audience as the competition will kill you at the very outset. Try sports that are more hobby oriented like fishing, camping, sailing, etc. This is where people indulge as they buy equipment and gears to enjoy these hobbies. The “how-to’s” is where people don’t mind spending money. Step #7. What about affiliate niche markets? Are you new in the online marketing business? Here’s what you need to do while selecting new niche markets—seek out platforms that offer better commissions and upfront payments for directing payments to their websites. This is where affiliate comes into play. Especially, if you are a blogger. High traffic websites can take membership to exclusive affiliate networks and make money. This is the most important step once you are close in on the niche markets. Look at the quality of competition in a niche. This gives you a clear picture if the niche is lucrative or not. Find out if the niche you are choosing has enough money in it to build a business. Check if there are any pay-per-click (PPC) advertisers bidding on the keywords close to your niche on Google Adwords. Step #9. What is the profitability of your niche? Once you are close to narrowing down on a niche, it’s time to find out how much money you can make in your niche. This is where ClickBank comes into play. You can find top products in your category. If there are no offers, it means no one has looked at it. The niche is not accessible at all. But even if you get a decent number of products in your search, you’re in luck. NOTE: Keep track of the price points to alter your product competitively. Finding a profitable niche market can be tricky. For the simple reason, a market with high demand always looks beneficial, but is it? Not always. For instance, if you are a cookie baker, there are plenty out there already. The next question is, how do you choose a niche that separates you from the rest? There is no magic formula to win your business, but these are simple steps that give you promising results. Clarify your business purpose and get in touch with the right people.